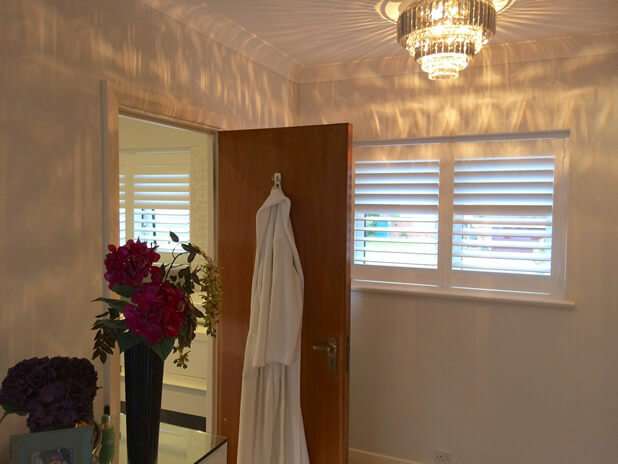 A client approached us looking for bespoke shutters designed and installed throughout a whole property in Palmers Green, Enfield London. 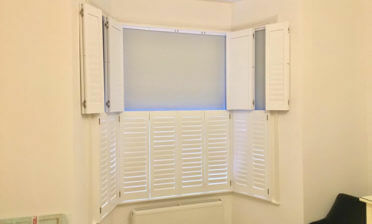 We had a wide variety of windows to work with including a bathroom, which we were to design and match so that they seamlessly worked with the entire property. 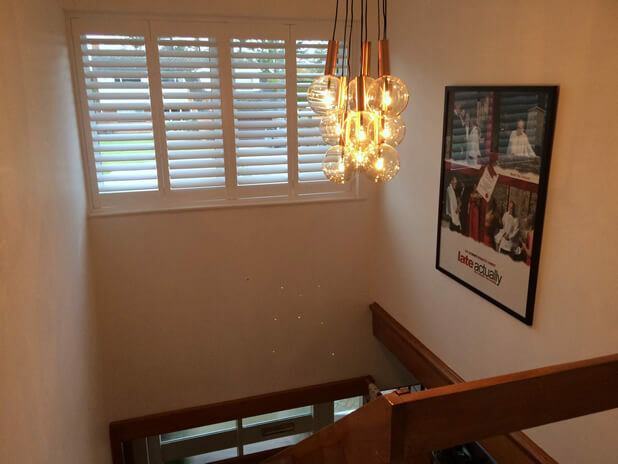 The shutters were fitted by Shaun and Roy who took amazing care as always throughout the whole install, especially in some areas such as over the landing window and stairway at different heights! 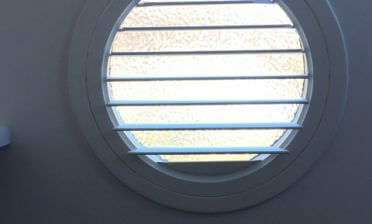 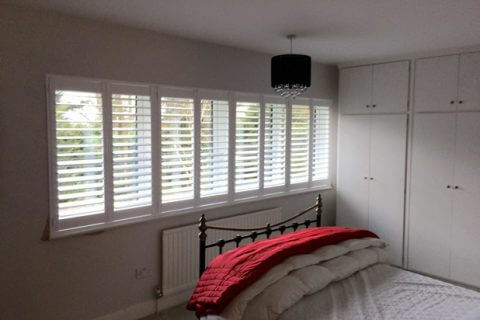 The customer was keen on having large shutters and opted for 76mm which helps to differentiate from the look of standard venetian blinds so that from the outside of the house you can instantly see the thick solid wood shutter look that the customer wished to achieve. 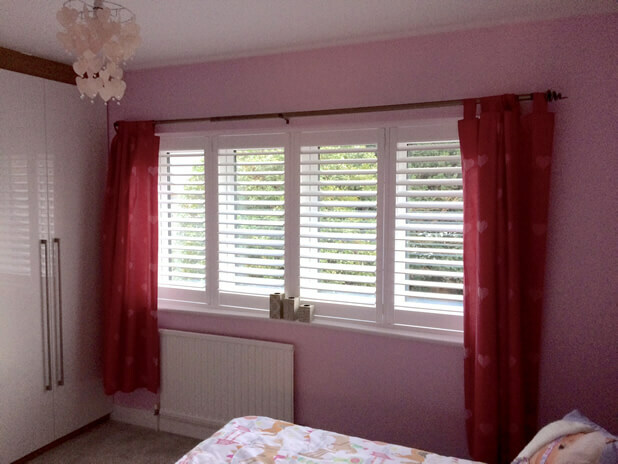 They were also keen to keep curtains in some of the rooms which can work perfectly against out shutters as another dressing to pull across and over the newly fitted shutters. 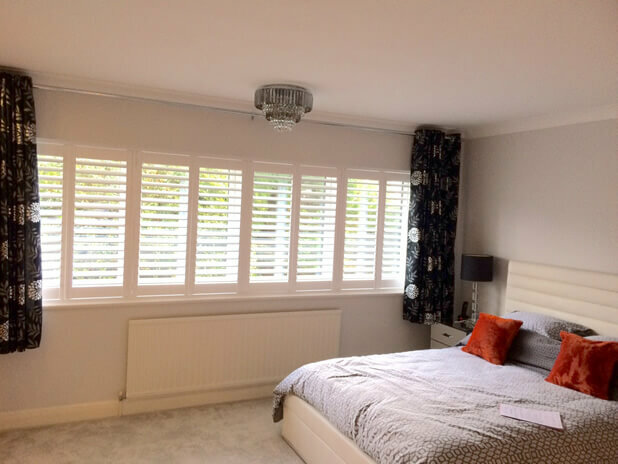 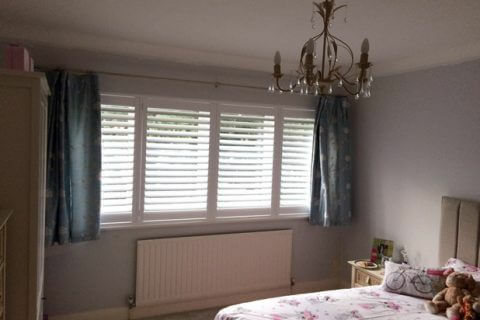 We created all the shutters in full height style with silent tilt rods, which allows for the shutters to be adjusted simply by touch without the need of visible tilt rods, which the client was keen to not have on the shutter panels. 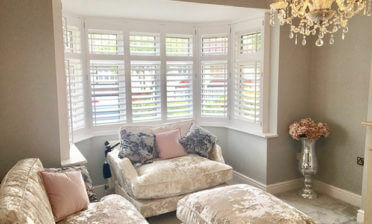 We finished all the shutters in a lovely pure white paint and used wood from our Fiji range so that all the shutters completely matched in material and finish. 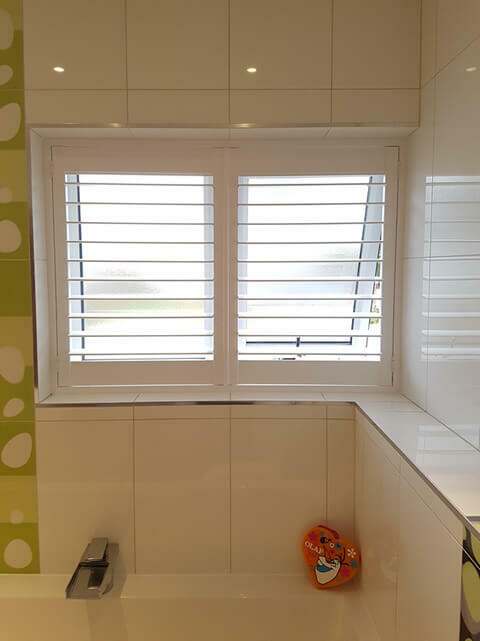 Our Fiji range is made from a wood known as paulownia which is naturally splash resistant making it just right from the ensuite and bathroom as they would never be in regular direct contact with water but may be prone to moisture and some splashes from time to time.